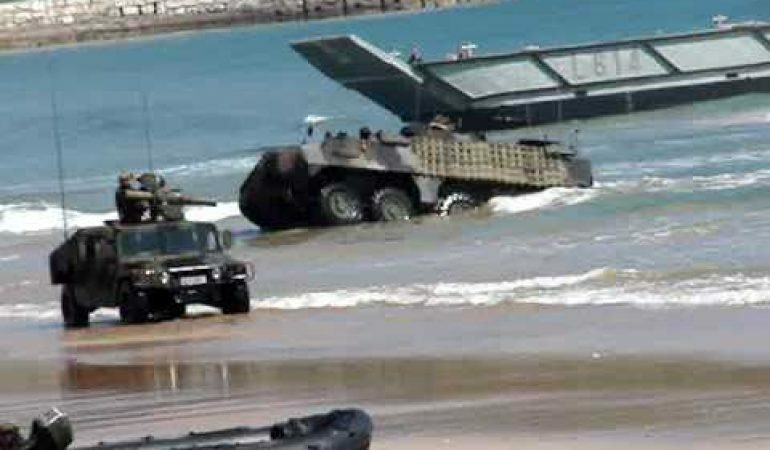 Get A Look At These Massive Militant Vehicles Storming From Naval Ships Into The Ocean! There is not much information on the location or what exactly is going on in this video, but it looks like some sort of military base near at the ocean. The filmer of the video is scanning the shore where you can see several military ships in the ocean and equipment scattered all throughout the sand. All of the sudden several military vehicles come from the ships and push through the waves onto the sand. You can definitely see where the inspiration for the Hummer came from when you see these giant military vehicles! Click the video below to check it out!